Approaching the writing of major intellectuals, artists, and philosophers need no longer be daunting. 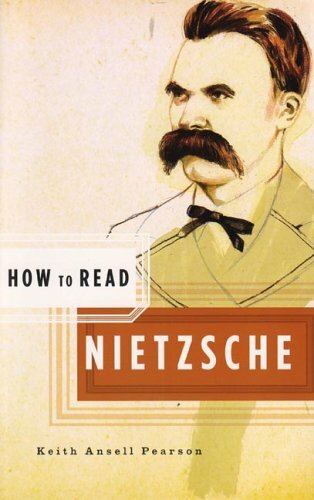 How to Read is a new sort of introductiona personal master class in readingthat brings you face to face with the work of some of the most influential and challenging writers in history. In lucid, accessible language, these books explain essential topics such as Nietzsche's thinking on beauty, truth, and memory. Intent upon letting the reader experience the pleasure and intellectual stimulation in reading these classic authors, the How to Read series provides a context and an explanation that will facilitate and enrich your understanding of texts vital to the canon. Keith Ansell Pearson holds a Personal Chair in Philosophy at the University of Warwick, UK. School for Social Research in New York. Critchley's publications include "The Ethics of Deconstruction: Derrida and Levinas," the collection of essays "Ethics-Politics-Subjectivity," "Continental Philosophy: A Very Short Introduction," "On Humour," "Things Merely Are," "Infinitely Demanding," and the New York Times bestseller "The Book of Dead Philosophers".